A Comair Boeing 737-800, registration ZS-ZWR performing flight MN-400 from Cape Town to Johannesburg (South Africa), was climbing out of Cape Town’s runway 19 when the crew stopped the climb at 6000 feet due to a bird strike into one of the engines (CFM56). The aircraft returned to Cape Town for a safe landing on runway 19 about 25 minutes after departure. A number of fan blades were bent. The occurrence aircraft returned to service about 34 hours after landing back. A THY Turkish Airlines Boeing 737-8 MAX, registration TC-LCC performing flight TK-629 from Istanbul (Turkey) to Accra (Ghana), was in the initial climb out of Istanbul Ataturk’s runway 05 when the aircraft received a bird strike prompting the crew to stop the climb at 9000 feet and return to Istanbul for a safe landing on runway 35L about 80 minutes after departure. A replacement Boeing 737-8 MAX registration TC-LCA is estimated to reach Accra with a delay of 3:20 hours. 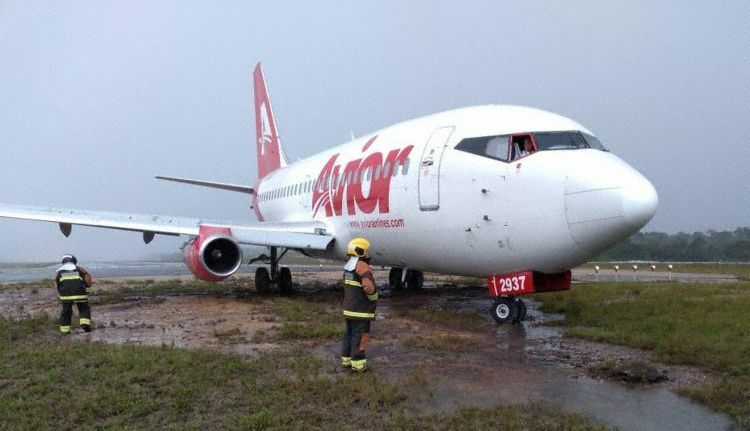 An Avior Airlines Boeing 737-200, registration YV-2937 performing flight 9V-1272 from Caracas (Venezuela) to Manaus,AM (Brazil), landed on Manaus’ runway 29 at about 15:43L (19:43Z) but overran the end of the runway and came to a stop past the end of the runway end safety area with all gear on soft ground. There were no injuries. A THY Turkish Airlines Airbus A321-200 Neo, registration TC-LSA performing flight TK-1940 from Brussels (Belgium) to Istanbul (Turkey), was climbing out of Brussels’ runway 25R when the crew stopped the climb at FL150 due to a problem with one of the engines (PW1133). The crew shut the engine down and returned to Brussels for a safe landing on runway 25R about 45 minutes after departure. A post flight inspection revealed a crack in the accessory gear box housing and an oil leak from the gearbox. The occurrence aircraft is still on the ground in Brussels 5 days later. A Nordic Regional Airlines Embraer ERJ-190 on behalf of Finnair, registration OH-LKE performing flight AY-865 from Helsinki (Finland) to Gothenburg (Sweden) with 100 passengers and 4 crew, was climbing out of Helsinki about 30nm south of Turku (Finland) when the crew stopped the climb at about FL310 and diverted to Turku reporting smell of smoke in the cabin. The aircraft landed safely on Turku’s runway 26 about 15 minutes later. The aircraft was evacuated via slides, there were no injuries. Attending emergency services found no trace of fire, heat or smoke. A passenger reported there was smell of smoke intensifying as if there was a small fire on board. The aircraft diverted to Turku, the passengers went down the inflatable slides and were taken to the terminal. The airline confirmed smell of smoke in the cabin prompted the diversion to Turku and emergency evacuation. There were no injuries. Arrangements are being made to take the passengers to Gothenburg. Finland’s Onnettomuustutkintakeskus (SIAF) opened a safety investigation into the occurrence reporting there was smoke in the cabin. In the afternoon of Dec 4th 2017 the SIAF added, that the source of the smoke was identified in the malfunctioning air conditioning system. 1. The rotating assemblies – i.e., the cooling fan, compressor and both turbines – of an ACM contacted the fan shroud as a result of the failure of journal bearings. Conclusion: The ACM failure generated smoke. 2. A cabin crew member notified the flight crew of smoke and a possible fire. The flight crew also smelt smoke. A warning of the ACM failure was only received after smoke had appeared. The occupants also felt pressure fluctuations. Warnings related to the crew oxygen system appeared and a message indicating an automatic pressurization control anomaly displayed. Conclusion: Smoke and a possible fire are extremely serious inflight occurrences and necessitate landing at the nearest suitable airfield. Simultaneous failure indications increased the flight crew’s workload. 3. A cabin crew member was unable to open the protective bag of a PBE. Tests showed that a pull of approximately 25 kp would have been needed. The task would have been easier had the bag been modified according to the manufacturer’s service bulletin. Conclusion: The modification is non-mandatory, but non-compliance may preclude the use of a PBE in an emergency. A crew member must be able to extract and don a PBE easily and expeditiously since it will be crucial to the maintenance of the wearer’s functional capability in the presence of smoke and fire. 4. The passengers were transported from the movement area to the evacuation point in two city buses that were requisitioned on a fire chief’s initiative pursuant to the provisions of the Rescue Act. Conclusion: Turku aerodrome had in place no plans for the use of local buses, and the same applies to most of Finavia’s other airports. Under certain weather conditions the moving of the passengers from the accident site without undue delay will be essential. 5. The captain notified area control of a fire on board the airplane and declared emergency. Area control relayed the information to Turku ATC, which in turn alerted the ERC to respond to a full emergency situation. Conclusion: The alerting instructions guide an ATC controller to classify an inflight fire as a full emergency situation. Pursuant to the instructions, the Southwestern Finland ERC, among other agencies, will not order the region’s hospitals to elevate readiness when a full emergency is reported. 6. The flaps were selected “up” already during the landing roll. Conclusion: The flaps will more likely be found extended during an evacuation if the post-landing procedures are initiated only after the speed has reduced to the taxiing speed. This will reduce the drop height from the wing walkway by approximately 0.5 m.
The SAIF reported the crew noticed fluctuations in the cabin pressure after takeoff, noticeable by both pressure indications and feel in the ears. The crew continued the flight increasing monitoring of the cabin pressure and decided to level off at FL310 as a precaution. Intermittent low pressure warnings for the crew oxygen system occurred, then an advisory of a pressurization problem occurred, which however did not require a flight crew action. Soon after a burning odour developed on board which the crew initially believed to have originated from an oven in the forward galley. The smell intensified prompting the crew to return to Helsinki. After the crew had initiated the return and had turned around cabin crew reported there was smoke in the cabin and something was burning. The captain thus declared Mayday, reported a fire on board, soon after a PACK 1 FAIL message occurred. Smoke entered the cockpit, the flight crew donned their oxygen masks and decided to divert to Turku. One of the cabin crew tried to open her protective breathing equipment but was unable to open the protective bag. The aircraft landed on Turku’s runway 26 and vacated the runway. Cabin crew notified the cockpit that the smoke had intensified prompting the captain to initiate an emergency evacuation. There were no serious injuries, the #1 Air Cycle Machine (ACM) showed damage. An overwing exit door also showed minor damage and hat caused a dent in the wing upper skin. A sensor in the crew oxygen system was found defective (unrelated to the ACM fault). 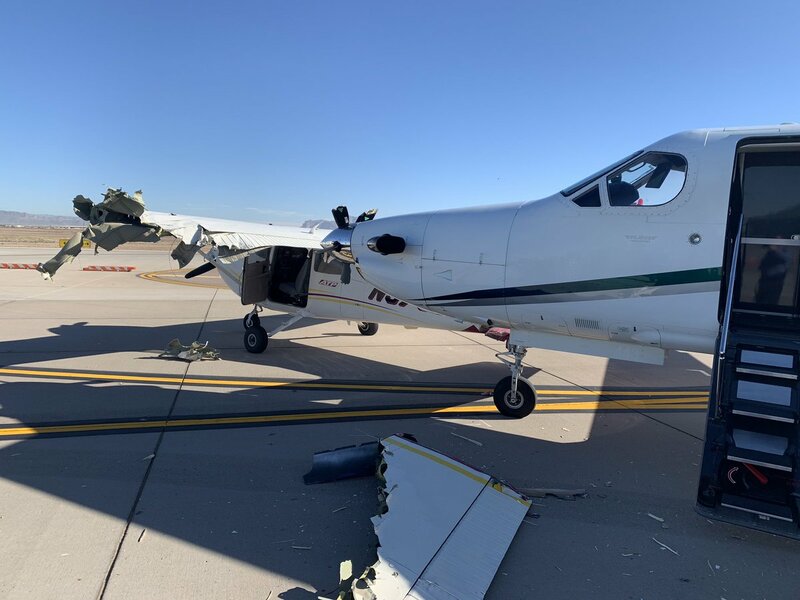 A Cessna 172S and a Pilatus PC-12/45 (N552TC) collided on a taxiway at Phoenix-Mesa Gateway Airport, Arizona, USA. Air India flight AI167, a Boeing 787-8 Dreamliner, contacted a building with the left-hand wingtip on the ground at Stockholm Arlanda Airport. The aircraft was taxiing to Gate F28 at Terminal 5. This gate has two guidelines, F28L and F28R. Aircraft of the size of a Boeing 787 have to use F28R given the spacing with the building located close to the gate. ADS-B data suggest the aircraft may have followed F28L instead. NEW YORK – President Donald Trump’s private jet, an instantly recognizable Boeing 757 used during his campaign, was caught up in a quintessential New York City traffic mishap at LaGuardia Airport on Wednesday: a fender bender while someone else was trying to park. A corporate jet maneuvering into a parking spot clipped the wing of Trump’s parked plane around 8:30 a.m., two people familiar with the incident told The Associated Press. They spoke on the condition of anonymity because they were not authorized to speak publicly. The corporate jet, a twin-engine Bombardier Global Express, had three crew members aboard. It had just completed an 18-minute flight from Islip, Long Island and was being guided by ground personnel along a ramp near the general aviation terminal. No one was on Trump’s plane. The Port Authority of New York and New Jersey, which operates LaGuardia Airport, said there were no injuries and no impact on airport operations. The agency would not confirm that Trump’s plane was involved. A Southwest Airlines jet landed safely in Kansas City on Wednesday night with a cracked cockpit windshield. The outer pane of Southwest Flight 718’s left side cockpit cracked upon descent into Kansas City International Airport, the airline said in a statement. No emergency was declared. The aircraft was taken out of service for a routine window repair, the company said. The Kansas City Aviation Department said the flight landed just after 6:30 p.m. with 117 people on board, Fox 4 Kansas City reported. The flight originated from Reagan International Airport in Washington D.C., the report said. Jakarta, Indonesia – Faulty equipment and Indonesian carrier Lion Air’s own safety failures had pilots fighting for control of their Boeing 737 MAX 8 as it plunged into the Java Sea on Oct. 28, killing all 189 people aboard, investigators said Wednesday. Briefing reporters on the aircraft’s black box data, the investigators said they were still struggling to understand why the plane crashed but they cited multiple factors centered on faulty sensors and an automatic safety system that repeatedly forced the plane’s nose down despite the pilots’ efforts to correct the problem. The National Transportation Safety Commission’s Nurcahyo Utomo said investigators were trying to figure out from interviews with engineers why they certified they deemed the Boeing 737 airworthy. “We need to compare the statements of the engineers with the required procedures,” Utomo said. “The problem is if multiple malfunctions occur all at once, which one should be prioritized?” Wibowo said. The lack of the aircraft’s cockpit voice recorder, which is still missing, is a dire obstacle to resolving that mystery, the investigators said. The report by Indonesia’s National Transportation Safety Commission repeats earlier recommendations made just after the disaster that pilots be better versed in emergency procedures and aware of past aircraft problems. 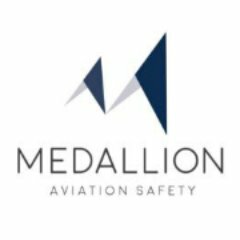 The investigators recommended that Lion Air ensure it follows proper operating procedures to improve its “safety culture and to enable the pilot to make proper decisions” and that it ensure it keeps proper, full documentation on flights and maintenance issues. The MAX aircraft that crashed is the latest version of Boeing’s popular 737 jetliner. Its new automated system pushes the nose down if a sensor detects that the nose is pointed so high that the plane could go into an aerodynamic stall. Pilots who flew the aircraft from Bali to Jakarta a day before the crash told investigators that the anti-stall system engaged due to erroneous airspeed and altitude indicators, but the flight crew managed to adjust the plane’s pitch manually by shutting the automated system off. That enabled them to restore control and land safely. It was unclear why the pilots on the failed flight from Jakarta to a regional airport the next day were unable to do the same, exactly what technicians did to try to fix the problems and if there were other steps that should have been taken given that four of the crashed aircraft’s six previous flights had experienced technical problems. “We need to find out what happened and why the pilots took different actions. That why we really want to have the cockpit voice recorder,” he said. “As our customers and their passengers continue to fly the 737 MAX to hundreds of destinations around the world every day, they have our assurance that the 737 MAX is as safe as any airplane that has ever flown the skies,” it said. The aircraft manufacturer noted that the investigators’ report cited actions by the flight crew that led to the crash. It also pointed to maintenance work and procedures that had failed to fix the aircraft’s repeated problems. Peter Lemme, an expert in aviation and satellite communications and a former Boeing engineer who wrote an analysis of the data on his blog, likened the problems to “a deadly game of tag” in which the plane pointed down, the pilots countered by manually aiming the nose higher, only for the sequence to repeat about five seconds later. Lemme said he was troubled that there weren’t easy checks to see if sensor information was correct, that the crew of the fatal flight apparently wasn’t warned about the problems on previous flights and that the Lion Air jet wasn’t fully repaired after those flights. “Had they fixed the airplane, we would not have had the accident,” he said. “Every accident is a combination of events, so there is disappointment all around here,” he said. Boeing’s latest airliners lack a common override feature that, in some dangerous circumstances, allows pilots to reliably pull planes out of nosedives and avert crashes such as last month’s fatal plunge by Lion Air Flight 610, aeronautics experts and pilot groups say. Questions surrounding the crash have turned a harsh spotlight on Boeing’s latest update to its workhorse 737 line, the world’s most popular commercial airliner. Boeing’s stock is down nearly 12 percent since the Oct. 29 crash, even after a slight uptick on Wednesday amid a broad market upswing. Revelations about the doomed Lion Air flight, released Wednesday in a preliminary report by Indonesian investigators, also exacerbated long-standing debates over what degree of automation is safest for airplanes – and how human pilots should be able to take full control. The Boeing 737 aircraft first flew in 1967 and – with several iterations and upgrades – quickly became the mainstay of international short-haul aviation. The 737 MAX is the fastest-selling plane in Boeing history, with almost 4,700 planes sold or on order, and it is flown by nearly 40 airlines worldwide. Previous iterations of 737s would have switched off key automatic control features when the pilot first pulled back the control column, a standard manual override feature in generations of airplanes. Investigators found that the final yank on the control column of Flight 610 registered almost 100 pounds of pressure, suggesting desperation in the cockpit as the plane plummeted. Aeronautics consultant Douglas M. Moss, a retired United Airlines pilot, said that Boeing and government regulators, among others, share blame for allowing the delivery of planes that operated in unexpected ways during emergencies and for failing to make the changes clear to pilots charged with flying them safely. The investigation found that, for days before the crash, the 737 MAX had experienced trouble with a sensor that measures the plane’s “angle of attack” – essentially whether it is dipping down, tipping up or level. 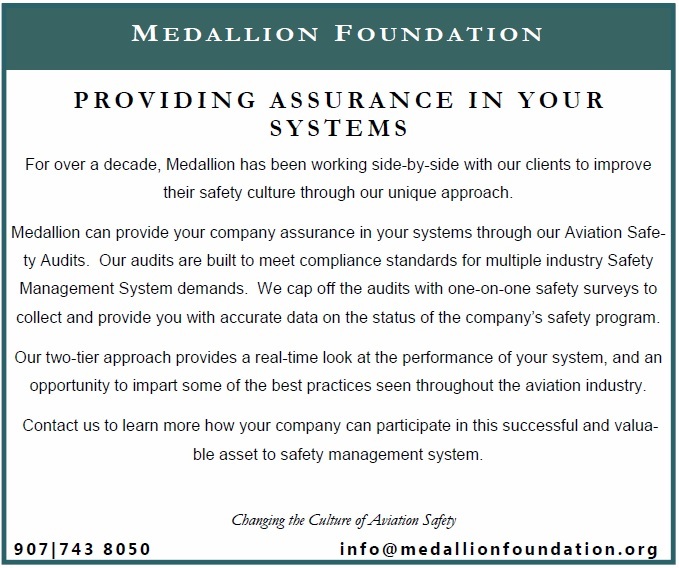 The malfunctioning sensor is key to correct operation of the MCAS, which is charged with detecting and correcting dangerous stalls. TOKYO – Japan’s first Bell-Boeing V-22 Osprey tilt-rotor aircraft are ready for delivery, but a dispute over where they will be based is holding up the process. Speaking to Defense News at the Japan International Aerospace Exhibition in Tokyo, retired Lt. Gen. George Trautman, a former U.S. Marine aviator and commander of all Marine Corps aviation who now works as an adviser for Bell, said “four or five” of the tilt rotors are ready for delivery at Patuxent River in the United States. 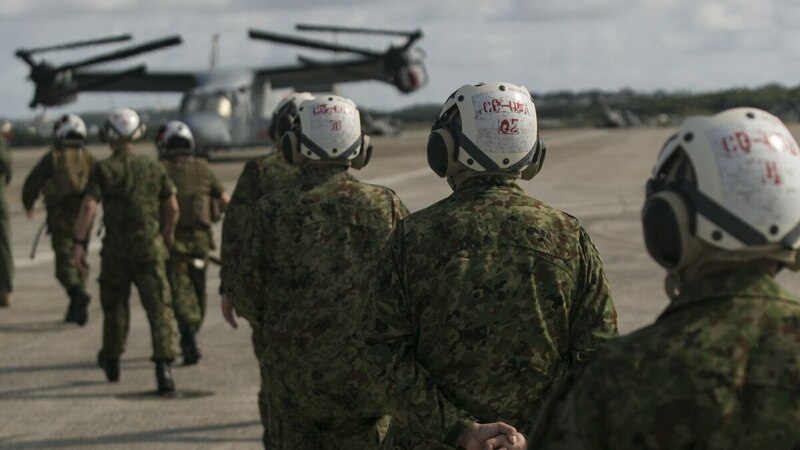 However, the Japanese government, which reportedly hoped to bring the aircraft into Japan this month, has run into opposition by local governments and residents near the planned Osprey base, due to fears over what they claim is the aircraft’s poor safety record. The Japan Ground Self-Defense Force plans to temporarily base its Ospreys at Camp Kisarazu near Tokyo while it constructs additional facilities at Saga Airport near the city of Nagasaki, which is expected to become the permanent base of Japan’s tilt rotors. This plan ran into opposition with local residents living near Camp Kisarazu, even though the base is already the site of a maintenance depot for American Ospreys based in Japan, and specifically Okinawa. Marine Corps commanders in Japan on Monday gave the green light to resume flight operations for MV-22 Ospreys, which had been suspended for six days after a crash on Dec. 13. Other than the basing issue, Trautman said that the program is going well, adding that 13 or 17 aircraft are under contract with Japan and the aircraft are on Bell’s production line. The budget for the remaining four aircraft has been approved, and they are expected to be contracted sometime before the end of Japan’s current fiscal year, which ends in March 2019. When asked if Japan was keen on acquiring more Ospreys, Trautman told Defense News there was “no formal dialogue” beyond the 17 aircraft for Japan. 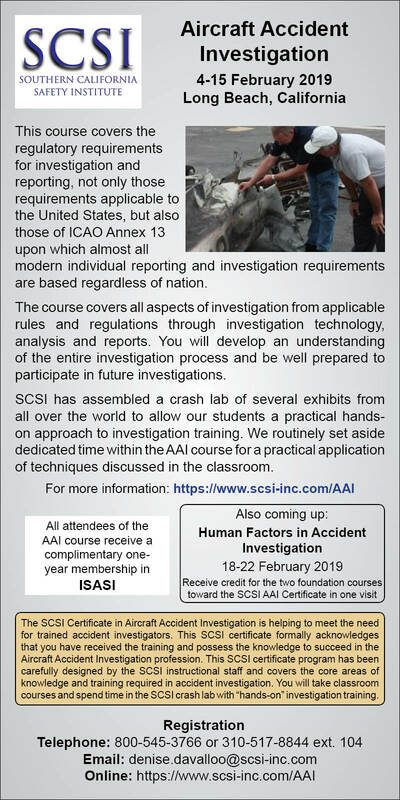 The International Business Aviation Council (IBAC) hopes that IS-BAO/IS-BAH can be used as a tool to help Asian aviation authorities develop differentiated regulations and standards for general and business aviation (GA/BA). IBAC director general Kurt Edwards said one of the biggest issues facing business operators in Asia is the regulatory environment. Most states in the region have not implemented ICAO Annex 6 Part II standards for GA/BA, even though business aircraft operators have adopted it. “You find the authorities have a one-size-fits-all approach, which is not differentiated and does not recognize different models of aviation. So there are business aircraft operators complying with airline rules, and we think that is inappropriate,” he told AIN. IBAC wishes to help the authorities develop differentiated standards for GA/BA based on ICAO’s Standards And Recommended Practices (SARPs). There are success stories, such as Bermuda and the Cayman Islands, where IS-BAO is used as an alternate means of compliance. IBAC is already in talks with the Civil Aviation Authority of the Philippines, which has announced plans to develop regulations for GA/BA. “We are also in talks with EASA for IS-BAO-registered operators to have most, if not all of its Part-NCC approval credited,” e added. He said that although two-thirds of IS-BAO-registered operators are in the U.S., China already has 21 operators (32 including Hong Kong), and the take-up rate in Asia is good. “Although it has a relatively small fleet size, it is the region that is growing the fastest,” he said. It’s a paradox of the next generation air traffic system: The more the civil aviation system becomes tied to GPS-based navigation, the more national security requires “degrading” GPS signals to prepare the military to meet new threats. Satellite-based navigation is becoming the norm. In some cases, those competing objectives have undermined flight safety, and AOPA “regularly receives complaints from pilots” about GPS interference events. Those events are taking place more often, lasting longer, and being conducted in more locations, said Rune Duke, AOPA senior director of airspace, air traffic, and aviation security. The short answer is that solving the problem is a work in progress. In a more detailed overview of the issue, AOPA awaits the FAA’s analysis of recommendations issued by a government-and-industry committee of RTCA (formerly the Radio Technical Commission for Aeronautics) that AOPA co-chaired on mitigating the effects of GPS interference. The report included a proposed schedule for implementing the measures, he said. The complaints from pilots speak to serious effects. During one exercise involving degrading GPS reception in Los Angeles Air Route Traffic Control Center’s airspace, in one hour more than 20 aircraft lost GPS navigation, Duke said. 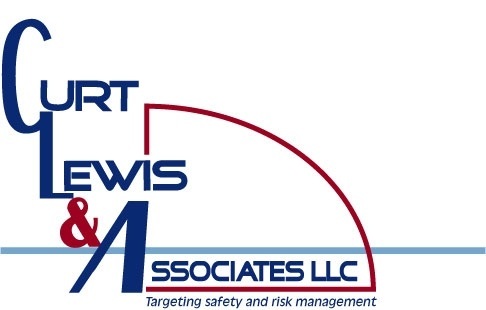 Some of the activity is designed to counter emerging security risks posed by unmanned aircraft systems (UAS). On the other hand, legitimate UAS flights can rely on GPS navigation-including for such critical safeguarding technology as “geofencing,” which keeps a drone from flying into a forbidden area defined by GPS coordinates. Notices to airmen informing pilots of GPS-interference tests should help but have sometimes created more problems than they have solved, depicting coverage areas as large as 1,200 nautical miles across. “It is not reasonable to expect that pilots will not fly through in an area that large,” Duke said. After the inconclusive safety panel, AOPA followed up with the FAA to discuss members’ safety concerns and to monitor the status of the RTCA proposals. “We understand the FAA is looking at elevating the concerns into a national-level safety panel and is exploring other mitigations,” Duke said. The FAA is also in discussions with the Defense Department to ensure that future GPS-interference events keep everyone safe, he added. When pilots experience interference with GPS navigation, they should report the problem to air traffic control immediately and follow up with an online filing using the FAA’s GPS Anomaly Reporting Form. When making your in-flight notification to ATC, it is important to be clear and provide details; the facility has the authority to call off the testing if a pilot encounters a safety-of-flight issue, Duke said. With the FAA emphasizing the need for aircraft operators to equip with GPS systems and Automatic Dependent Surveillance-Broadcast (ADS-B) capability to operate in the NextGen air traffic system, GPS interference “undermines the usefulness of those technologies, and affects the benefits for pilots who are considering making the investment,” he said. 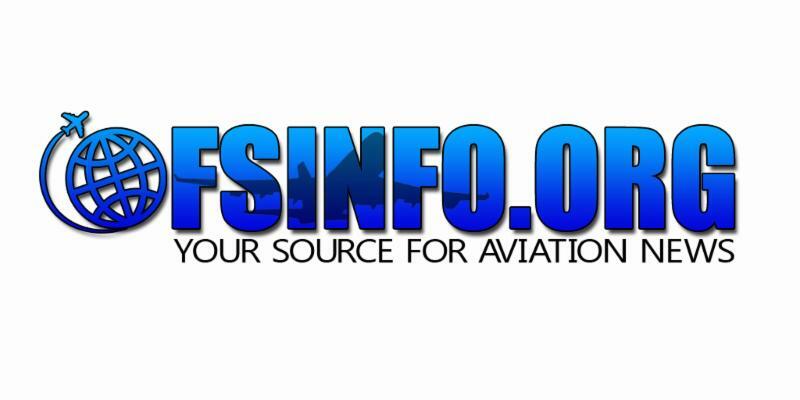 Bottom line: As discussions with the FAA proceed, AOPA will continue to emphasize to the FAA the safety implications of the situation. “We know from the safety data that there are impacts occurring with these tests and the FAA must take proactive steps to ensure the flying public is safe,” he said. 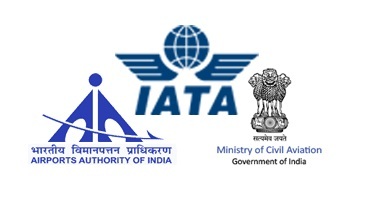 In its endeavour to recognize the fast growth of the aviation sector, the Ministry of Civil Aviation, Government of India and the Airport Authority of India (AAI) in collaboration with the Federation of Indian Chambers of Commerce & Industry (FICCI) today announced the Global Aviation Summit, with an overarching theme of “Flying for all – especially for the next 6 billion”. 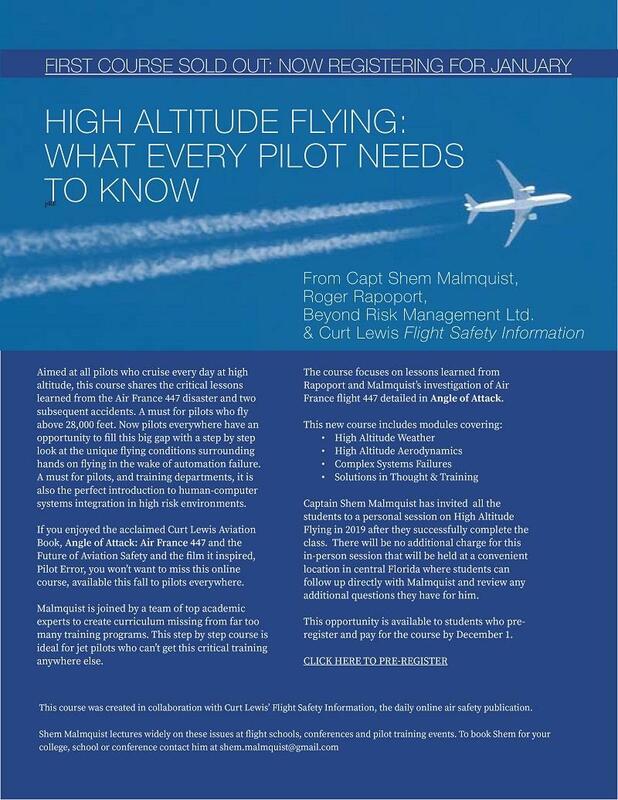 The event is supported by ICAO, IATA, ACI and CANSO. The Summit will be held on 15-16 January, 2019 at The Grand Hyatt in Mumbai, the financial capital of India. The Summit aims to focus on the celebration of ‘Flying for All’ and to provide a platform to the aviation fraternity to highlight the challenges of the sector in the newly developing growth spots. The Summit provides a platform to the stakeholders to brainstorm over the future of the aviation industry and identify the growth areas. The Summit aims to provide a platform to the stakeholders to brainstorm over the future of aviation industry and identify the growth areas. The Summit will host experts and CEOs from Global Aviation Fraternity emphasizing upon the latest trends, futuristic aircraft and cutting-edge technologies. It also gives the opportunity to highlight latest concepts like drones, air taxis, volocopters, new jets and ultra-light aerial electric vehicles etc. It will also entail discussions on airports of future, innovations, safety & security, financing & leasing, sustainability and growth drivers – cargo, logistics, added Shri Jayant Sinha, Minister of State for Civil Aviation. More than 1,000 delegates, 80 plus speakers, 50 plus CEOs of airports and airlines, 30 plus exhibitors, transport ministers from 35 countries and 35 regulators (DGCAs/ Civil aviation authorities from different countries) from the global aviation fraternity are going to participate. Nesma Airlines plans to add a pair of Airbus A330s to its registry by next summer, chief executive Ashraf Lamloum has confirmed. The Egyptian carrier will place the widebodies with its Saudi sister airline for use on Hajj and Umrah flights, which are typically operated on a charter basis. Registering the aircraft in Egypt brings cost advantages over placing them directly on Nesma’s Saudi A.O.C., he noted. The airframes will have a maximum age of 13 years and will be used for year-round flights to the Far East and West Africa, including Indonesia, Bangladesh, the Philippines and Senegal. Approximately 8.3 million foreign pilgrims visited the kingdom for the Hajj and Umrah in 2017 – most of them coming from non-Arab Asian or African countries. Lamloum is hopeful that the aircraft will arrive “between June and September” next year, though he does not rule out a delay. The Egyptian carrier currently has three narrowbodies on its registry – two A320s and one A319 – which it deploys on a mixture of charter flights to Europe and scheduled flights to Saudi Arabia. The charter network was grounded in 2016 due to Egypt’s geopolitical troubles but resumed last year and now accounts for more than half of all flights. Both of the A320s will be replaced with younger models when their leases expire in 2019. Asked about network development plans from Cairo, Lamloum said strong competition between Egyptian carriers is impacting profitability and necessitates a cautious approach to expansion. Iceland’s Wow Air has returned four aircraft to lessors as its financial position continues to erode. The low-cost carrier returned two Airbus A320 family aircraft and two Airbus A330-300 aircraft to their respective lessors, Wow says in a statement on 27 November. It calls the move part of a “necessary restructuring”. Wow operates 17 A320 family – A320, A320neo, A321 and A321neo – aircraft and three A330-300s, Flight Fleets Analyzer shows. The airline’s fleet reduction follows a rapid deterioration of Wow’s financial position since a 24 September bond issue, the airline says in a separate statement on the same day. Wow is actively seeking long-term funding to continue operations, a move that it says is a “necessity for the business”. Northern European carrier Primera Air collapsed in October after failing to secure working capital to keep its aircraft flying. The low-cost carrier had begun transatlantic flights to Boston, New York, Toronto and Washington earlier this year, a market where it competed indirectly with Wow. Wow cites the collapse of Primera, as well as negative publicity about its financial health and rising fuel prices, for its weakened working capital position since the €60 million ($67.7 million) bond transaction in September. Icelandair Group announced plans to acquire Wow in early November, in a move seen as a way to shore up the two carriers that have engaged in a head-to-head battle on transatlantic routes in recent months. 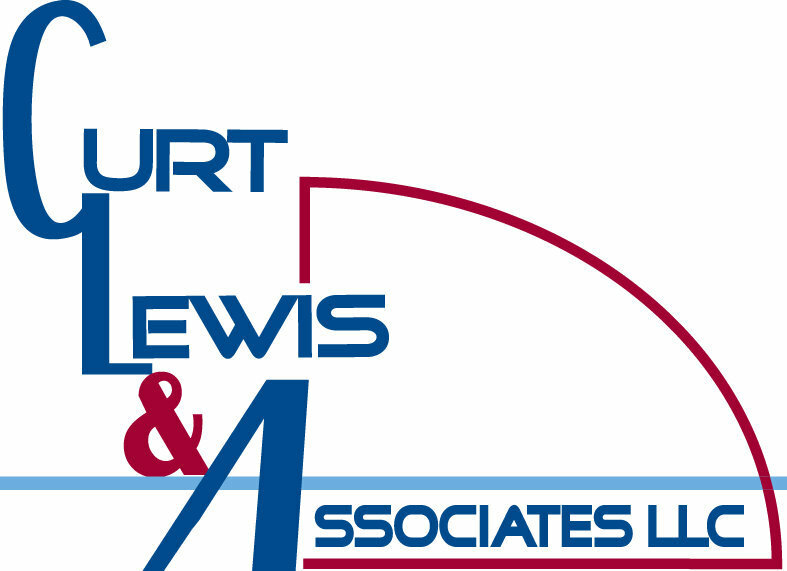 However, the airline needs both shareholder and regulatory approval for the deal. Icelandair shareholders are scheduled to meet on 30 November to discuss and vote on the Wow deal. LAHORE : PIA President & CEO Air Marshal Arshad Malik has said that PIA was planning to induct four new aircrafts in its fleet. He expressed these views while addressing PIA employees at the airline’s head office on Wednesday. He said, “We have already started the fleet enhancement plan and soon PIA will expand its network and increase its access the world over.” He said since he joined PIA his objective is to make it the leading airline with collective wisdom and efforts. He said he was very hopeful of better results as the airline has great potential to rise. We will strictly go according to route rationalization policy and new viable routes will be introduced, Air Marshal Arshad Malik said. “Already we have started Sialkot-Sharjah and Lahore-Muscat and the results are very encouraging. Very soon we are going to launch flights on Sialkot- Barcelona and Lahore-Bangkok sectors,” he said. “All employees should work together as a team.” He said that he was well aware of the problems being faced by the employees in particular, the low salary structure of employees of lower cadre. He instructed the employees to work for the betterment of the airline without compromising on service standards. He said that he would personally visit each and every department to discuss the issues with employees. Russian scientists and engineers from The National University of Science and Technology MISiS (NUST MISIS) have managed to find a way to reduce the weight of aircraft engine parts by 20 percent. According to experts, this weight reduction is fundamental for the aircraft, becoming a ton lighter. This weight reduction was made possible with the introduction of a new manufacturing technology-a bionic bracket by laser extension from the powder of a Russian titanium alloy. A pilot batch of the innovative brackets has already been successfully tested. In the aircraft industry every kilogram counts; even a small reduction change in a machine`s weight allows it to significantly raise its efficiency and improve its flight characteristics. A new technology to manufacture aircraft engine parts that can reduce the weight of the product by 20 percent has been developed at NUST MISIS. To produce advanced aircraft engine brackets, scientists and engineers took advantage of the latest ideas of modern materials science and aircraft engineering. “The uniqueness of the product lies in the fact that the shape of the bracket was designed using computer topological optimization (a special approach to the design which allows us to find the best distribution of the material in a given area for a given load and conditions), as well as bionic design,” said Andrey Travyanov, head of the project and head of the NUST MISIS College of Environmentally Sound Technologies & Engineering. The optimization of the bracket’s shape makes producing it by traditional methods such as casting much more complicated, rendering those methods useless. Thus, the only solution is to use additive technologies of layer printing by metals, in particular, the so-called selective laser melting. Researchers from the NUST MISIS Laboratory for Hybrid Additive Technologies have conducted a number of studies that have allowed them to discover the technological parameters for 3D cultivation of complex products from titanium. This opens up the possibility for bionic design, so the titanium products’ properties meet the All Union State Standards requirements to cast titanium parts. In addition to the radical weight reduction, scientists have managed to achieve a significant reduction in production cost by saving expensive powder for 3D printing. “The developed technology of titanium products made with bionic design, in addition to reducing the weight of the parts, can also dramatically reduce the powder consumption when printing,” added Pavel Petrovsky, lab researcher and associate director of the NUST MISIS College of Environmentally Sound Technologies & Engineering. The pilot batch of innovative brackets was successfully manufactured at one of the Russian aircraft factories and has already passed the bench test that proved the quality of the parts by meeting the All Union State Standards’ requirements. “For the aircraft engines` designer to reduce its weight even by a hundred grams is a great achievement. But the beauty of the proposed technology is not only in the huge reduction in the products` weight, but also in that it allows[scientists] to develop new designs with unprecedented speed,” said Pavel Alikin, aviation metallurgy specialist andassociate professor at the Department of Casting at Ufa State Aviation Technical University. In particular, researchers managed to completely design the bracket that is now undergoing testing – from the idea to production documentation – in just a week. Before this development, according to Alikin, that process would have taken at least six months. The reduction of the parts’ weight by 20 percent doesn’t mean that the weight of the entire engine was also reduced by 20 percent. But according to the experts, additive technologies will facilitate engines becoming at least 10 percent lighter-a great number. That would save 200-250 kg on each aircraft engine, making planes lighter by up to a ton overall. Alikin believes that the aircraft industry can start the serial production of aircraft engines with parts made using additive technologies in just three years. China is intent on selling off a number of technologically advanced aircraft, including radar platforms and interdiction and attack aircraft that apparently have fallen short of People’s Liberation Army Air Force (PLAAF) expectations after just a few years of operational service. After being decommissioned, the aircraft have been handed over to Poly Technologies, a company licensed by the government, for rework into exportable versions and subsequent release to would-be foreign clients. During the 12th China International Aviation & Aerospace Exhibition, better known as Airshow China 2018, held earlier this month in Zhuhai, the company had a large outdoor exhibition to showcase its wares. Large-format banners and posters were devoted to the KJ-200, JH-7, A-5, J-7, and K-8, describing them as decommissioned equipment available to interested foreign countries after repair, upgrade, and rebuild. While the Chengdu J-7 and Hongdu A-5 and K-8 have been in PLAAF service for many years and are considered obsolete, the KJ-200 and JH-7 represent modern and still highly capable aircraft. Most intriguing is the offer of the Shaanxi KJ-200 airborne early warning aircraft, which entered PLAAF service as recently as 2009. Based on the platform of the Shaanxi Y-8, a localized Antonov An-12 transport, the KJ-200 features a large active electronically scanned array (AESA) radar mounted above the fuselage in a manner resembling the Saab Erieye. According to Poly Technologies, the system can detect, identify, and track aerial and seagoing targets with a compensation for ground clutter, and provides situational awareness, command, and control functions. It seems that a handful of KJ-200s have become redundant after the more advanced KJ-500, based on the evolved Y-9 platform, became operational in 2015. While similar in dimensions, the newer 65-tonne-gross weight aircraft is attributed to the next generation and differs in having a non-rotating circular dome with three AESA arrays in place of the KJ-200’s balanced beam antenna. Poly Technologies is also promoting the Shenyang JH-7 interdiction aircraft that has had a production run of some 270 copies, most of which remain operable. Developed in the 1980s, the initial version gave ground for development of the far more advanced JH-7А, which became operational in 2004. Apart from being China’s first computer-aided design, the 28.5-tonne jet featured a glass cockpit and digital fly-by-wire flight control system. Most of the earlier airframes were upgraded to the JH-7A standard. Poly Technologies describes the aircraft as a twin-engine, tandem-seat, supersonic fighter-bomber able to carry a bombload of up to 6.5 tonnes and capable of long-range strikes with precision-guided munitions. The type was briefly marketed for export as the FBC-1 Flying Leopard, but all production examples went to the PLAAF and PLANAF (Chinese naval aviation). Now, with Shenyang having mastered production of the Sukhoi Su-30 twin-seat multirole fighter as the J-16, the JH-7A is being phased out and thus has become available for export. Unlike the JH-7, the Hongdu Q-5 low-level attack aircraft was delivered new not only to the PLAAF (from 1970) but also to Pakistan, Bangladesh, Sudan, Myanmar, and North Korea, with the export designation A-5. Last year, the type was withdrawn from Chinese service but remains active with the last three of the overseas customers mentioned. These and others may be interested in acquiring the A-5L, the most advanced version with the ability to use laser-guided bombs. NASA wants to use the moon to build commercial partnerships and develop technologies that could one day be applied to Mars exploration. NASA has its sights set on the moon, and the agency has selected the first batch of commercial project proposals it will include on its journey back to our nearest neighbor, and then on to Mars. The selected companies will be revealed Thursday (Nov. 29) during a news conference held at NASA’s headquarters in Washington, D.C. NASA Administrator Jim Bridenstine will lead the news conference. The event will begin at 2 p.m. EST (1900 GMT); you can watch it live on Space.com, courtesy of NASA TV, or directly at the agency’s website. “Working with U.S. companies is the next step to achieving long-term scientific study and human exploration of the Moon and Mars,” NASA officials wrote in a media alert. Bridenstine will be joined by representatives of the companies whose projects have been selected, as well as by Thomas Zurbuchen, who leads NASA’s Science Mission Directorate; astronaut Stan Love; Andrea Mosie, Apollo sample-laboratory manager; and Barbara Cohen, a scientist who works with NASA’s Lunar Reconnaissance Orbiter mission. NASA’s current plans aim to have humans orbiting the moon again by 2023 and landing later in the decade, but the agency has always expected to precede crewed flights with robotic lander missions.